For clients based outside of the UK and EU, the reason to pack RID™ is very simple - because IT WORKS! "a strange man is in the swamp with a dog". Doug was the original human guinea pig - standing in those murky waters being eaten alive night after night, taking notes, testing new lotions until finally the formula was perfected. He wouldn't market anything if it hadn't been tested on his skin first. His product was DEET-based - a chemical used by the American soldiers in the Pacific during World War II. It worked extremely well, but had an offensive odour. His kitchen research, with his wife's cosmetic cream, finally paid off. After more than 3,000 hours testing in the field, he was ready to sell a product that repelled insects, but with a pleasant scent. From day one in 1956, it was a hit. Soon, RID™ was being invited to picnics, beaches, and barbeques across the country. The familiar purple magenta packs could be found in handbags and medicine cabinets everywhere. 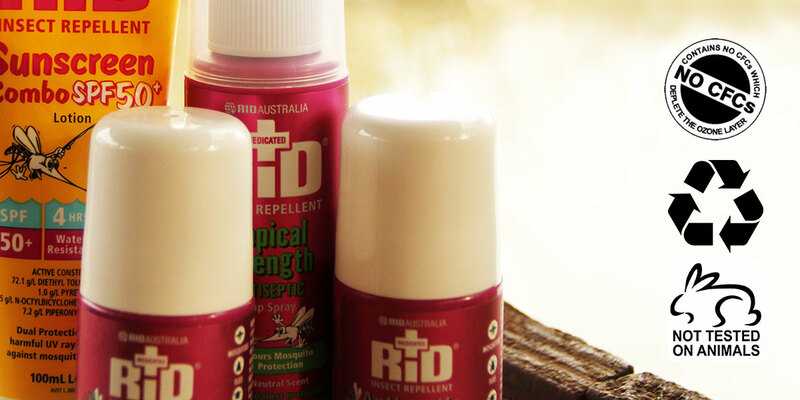 RID™ Tropical Strength Insect Protection provides long-lasting, trusted protection against biting insects for non-EU and non-UK clients. Mosquitoes, flies, sandflies, fleas, leeches, ticks, and other biting insects. It lasts for at least 6 hours (tests show it is usually between 7 and 8). 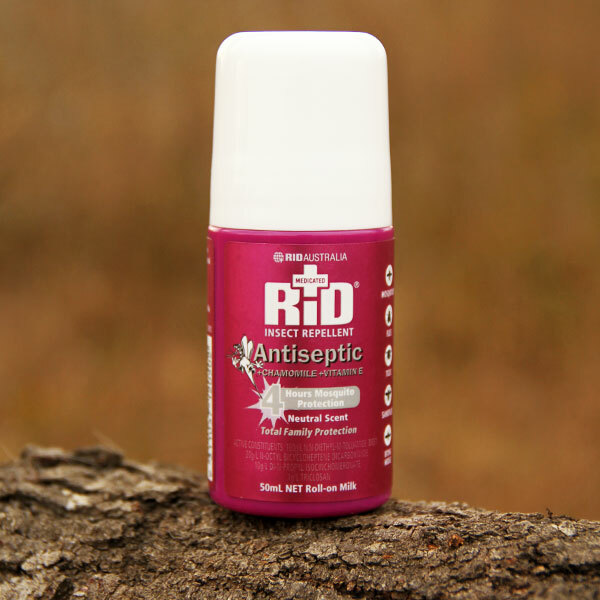 RID™ contains antiseptic to kill a wide range of bacteria (introduced by the insect bite or by scratching the area around the bite) which helps stop infection spreading. The range is medicated too and contains Vitamin E for moisturising, Chamomile for its soothing relief, and Triclosan (an anti-bacterial/inflammatory agent). 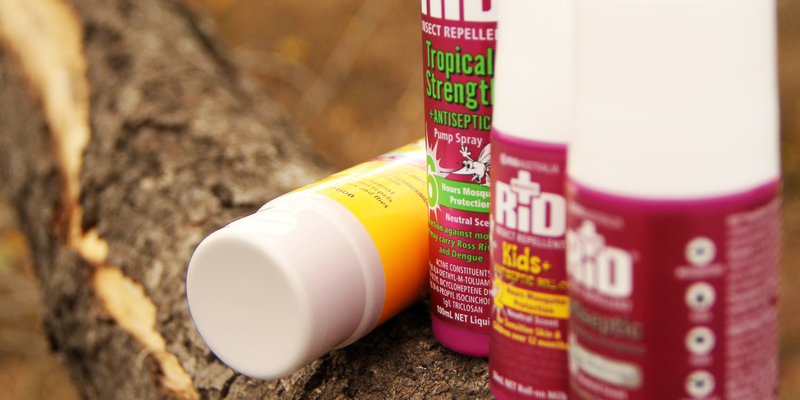 RID™ Traditional has a lower DEET content but does not last as long as the Tropical Strength products. Mosquitoes, flies, sandflies, ticks, and other biting insects. It lasts for at least 4 hours. 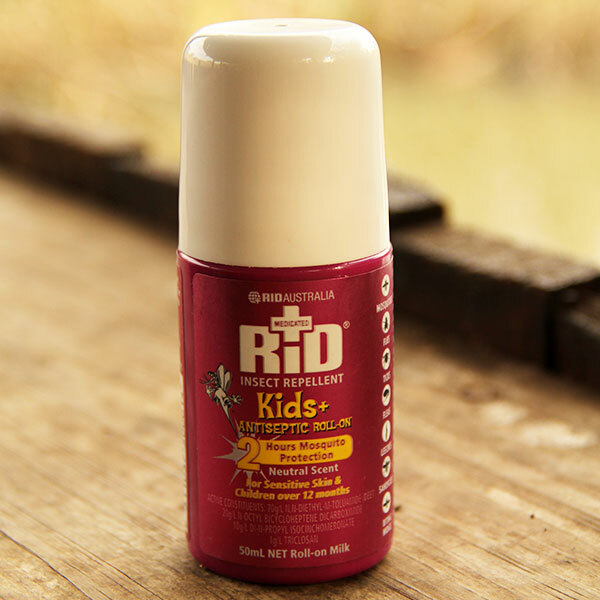 RID™ for Kids is safe and suitable for the sensitive skin of children between the ages of 6 months and 11 years. It lasts for at least 2 hours. 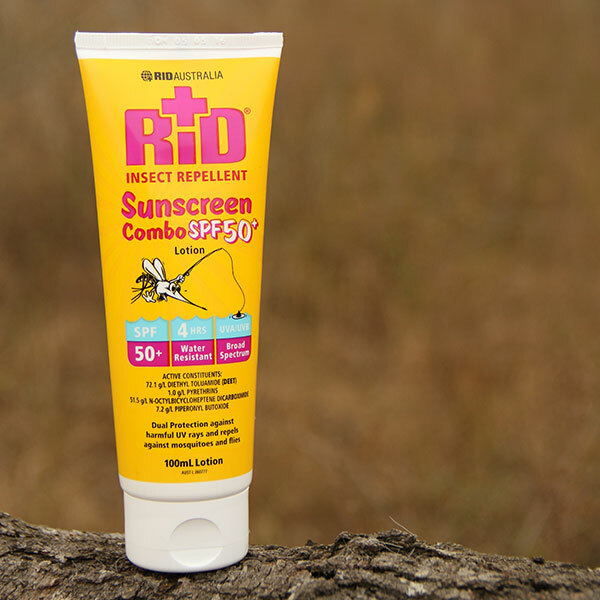 RID™ and sunscreen combo combines RID™'s insect repellent formula with SPF50+. Mosquitoes, flies, and the sun. Light, non-greasy, and moisturising lotion easy to apply. It is water-resistant and offers protection from the sun. The more DEET the better? This is simply not true. Australian scientists have debunked the "more DEET the better" myth bandied about by most insect repellent manufacturers (usually for marketing purposes). Through extensive tests, it has been proven that the effectiveness of insect repellent does not increase once the level of DEET rises above 20%. What does increase is how long the product lasts on the skin. 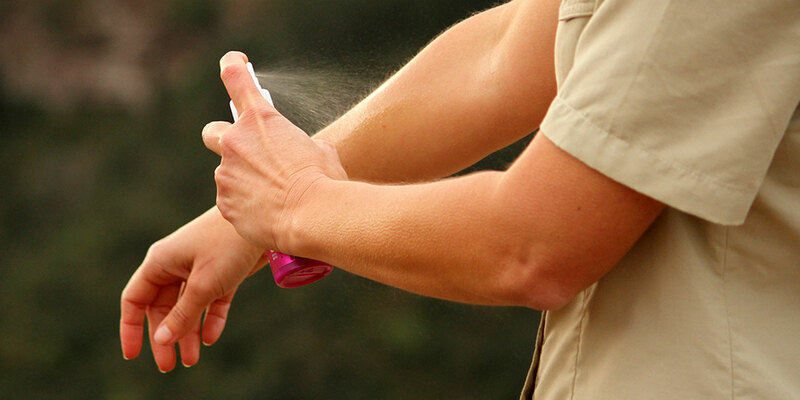 A standard 20% DEET repellent will usually last 4 to 5 hours. A product with 80% DEET will last for 8 to 10 hours. 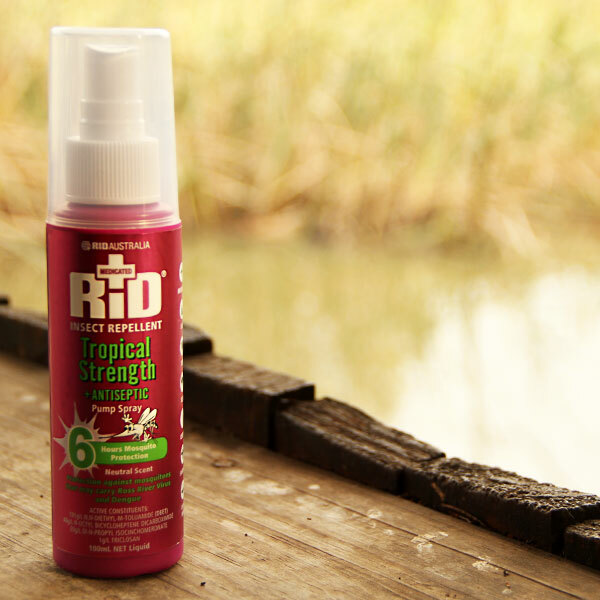 RID™ 19.5% Tropical Strength formula, as stocked by The Safari Store, lasts for at least 6 hours (tests show it is usually between 7 and 8) due to additional synergists that extend the length of time the product is effective. DEET at high concentrations is highly corrosive to your precious camera gear and binoculars - and to your skin! 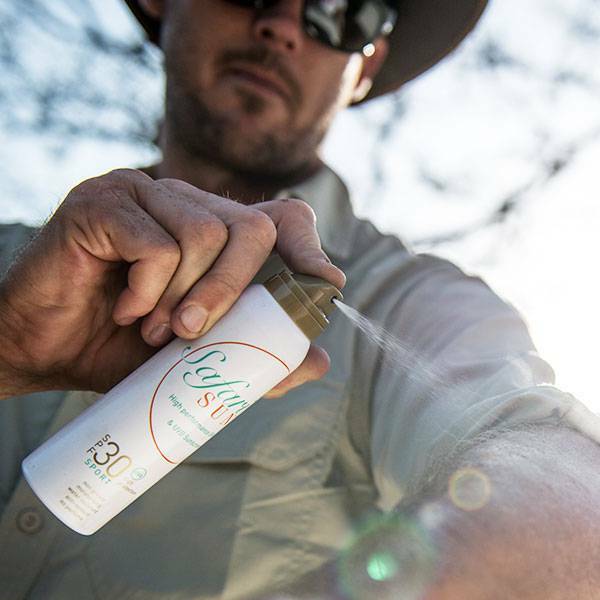 The World Health Organisation and most medical authorities recommend that DEET products be below 50% as levels higher than this are known to cause severe skin irritation. Considering the environment. RID™ is not tested on animals, does not include CFCs in its aerosol sprays, and RID™ bottles are recyclable. Tried and tested. 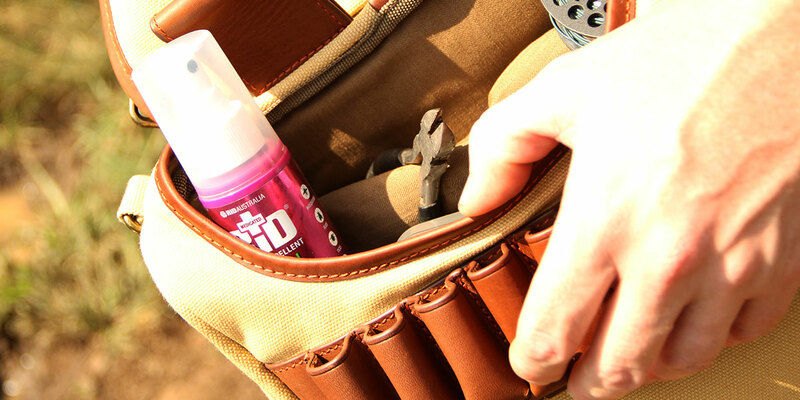 Extensively used and tested by The Safari Store Team, RID™ has proven itself to be reliable and effective in all of our safari and outdoor adventures. For maximum protection. Combine RID™ with our BUGTech™ range of clothing for optimal protection. Our BUGTech™ fabric has been proven in independent tests by the South African Bureau of Standards (SABS) Pesticide Trial Section to effectively repel insects.